Thought Engage was just a Youth Circus? Just take a look at our new programme of classes for Summer 2019. There are now classes for adults and for parents and carers with younger children as well as a new accessible youth class and all the other children and young people’s classes. This is a strengthening and stretching class, working on building flexibility, core strength and stamina. Dress Code: Suitable for exercising – no zips or jewellery. 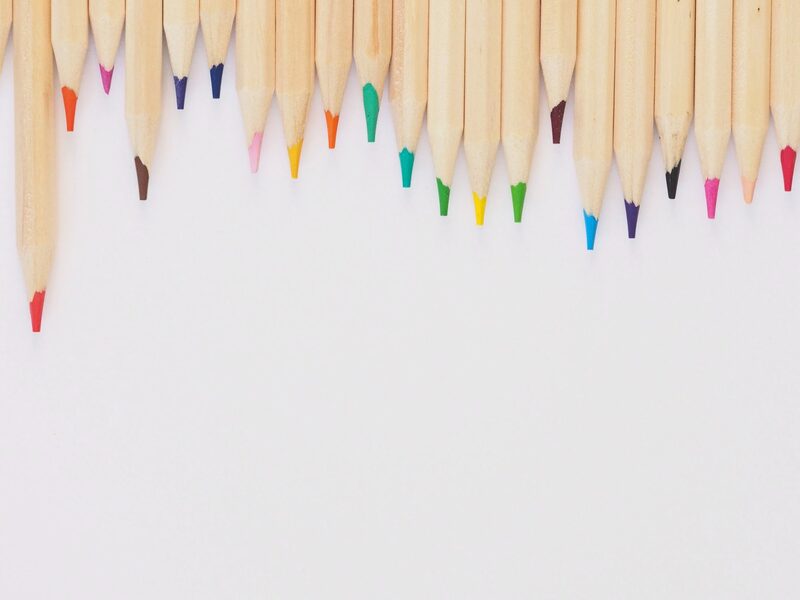 Starts: 29th April 2019 for 10 weeks with a half term break. Cost: £20 for the term or £2 per session by arrangement. Members of Engage develop their circus skills and techniques to work towards displays and performances. The sessions cover all skill areas whilst building strength, stamina and teamwork. So if you want to run away to the circus and learn juggling, trapeze, acrobalance and much more, do get in touch. Cost: £45 for the term or £4.50 per week by arrangement. Strengthen and tone your muscles, especially abdominals, pelvic floor and back. Connect with other mums in a playful environment. Engage and bond with your child. Some exercises will be for mums and babies together – you can also leave them in a car seat or pushchair or there will be an area with mats and toys set up to amuse them while you take some time for yourself. There will be 15 minutes after class to share tea and coffee and chat! You are welcome to stay for Circus Tots if you have a toddler with you. Cost: £5 per mother, drop in, or £8 if you do both Aerial Yoga and Circus Tots. 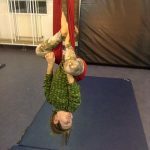 A class for 2-4 year olds and their carers to explore circus arts – each week we will focus on a different skill such as juggling, skipping and hoola hoop and have a play in aerial hammocks. Starts: 1st May 2019. For 10 weeks with a half term break. Cost: £6 per class or £20 for a block of 4. 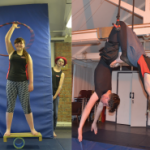 A class for young people where additional support will be provided if needed so that those with access needs can learn circus and performance skills with their peers. From time to time this group, like the other Engage youth circus groups, will work towards displays and performance. Get in touch if you want to come along or would like more information as this group has limited spaces. 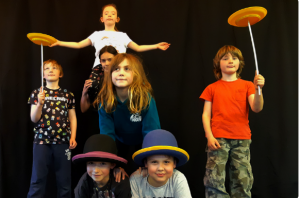 An introduction to Circus Skills for 5 – 8 year olds. 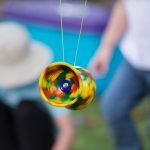 Learn basic circus and performance skills including plate spinning, diabolo, juggling, balancing skills and trapeze. Starts: 2nd May 2019. For 10 weeks with a half term break. Cost: £30.50 for the term or £3.50 per week by arrangement. Run away to the Circus with Engage. Suitable for beginners and improvers. 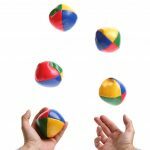 All circus skills: juggling, plate spinning, diabolo, acrobalance and trapeze. A lively group working towards further performance. 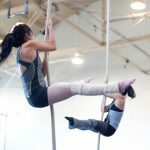 Learn trapeze, aerial hammock, silks and hoop with professional aerial artists. Classes combine exercises to improve fitness whilst learning new skills on the aerial equipment.